I just love the sketches at Paper Issues. I've participated in every Sketchy Saturday so far and my most favourite layout I have ever made was actually based on the first Sketch. But I'll be honest, I really struggled with this sketch. It sounds weird, but I don't like circles. I have a hard time using them and they're just my least favourite shape to use in scrapbooking. 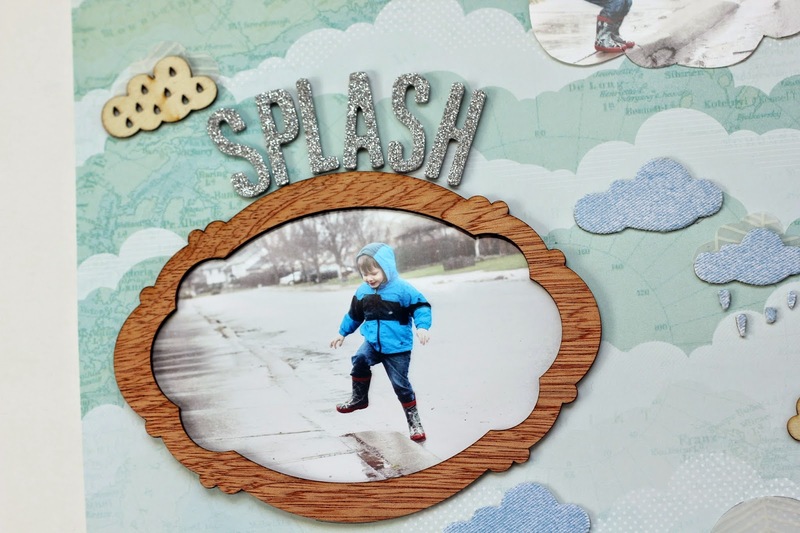 But then Cassie Box posted this layout and it just blew my mind! Of course I didn't have to stick with circles, I could make the sketch my own. 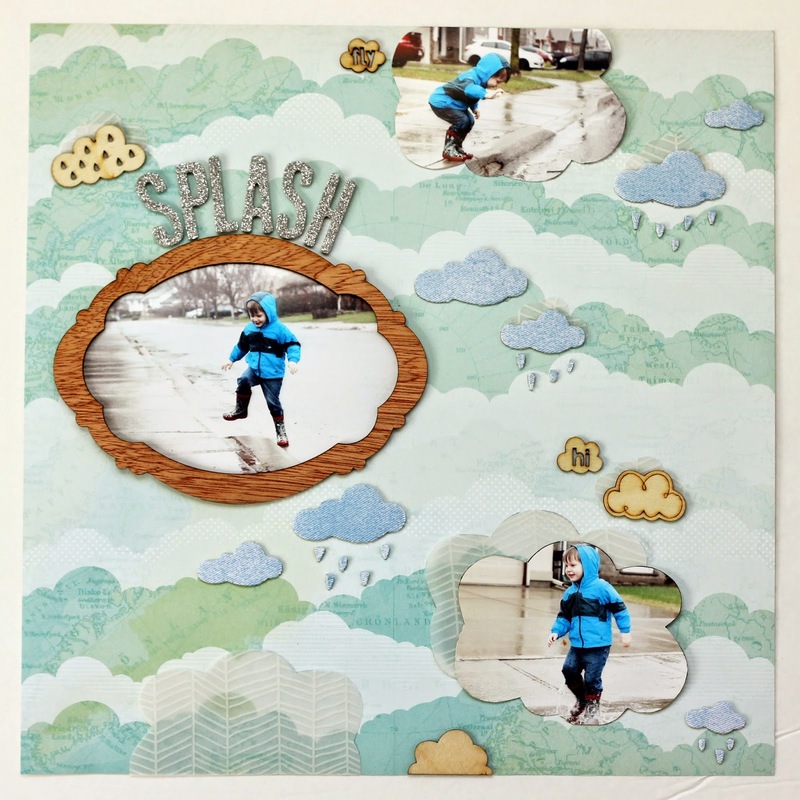 After thinking a bit and then deciding on using photos of Andy jumping in puddles, I knew my shape would be clouds. I've had this old wood veneer frame from Crate Paper for ages and finally found the perfect project for it. It's not exactly cloud shaped, but it has the same characteristics. I cut two more photos into cloud shapes and I won't even tell you how long it took me to make a cloud pattern... it's embarrassing how long and in the end, I still had to trace something. I am so not artistic like that! 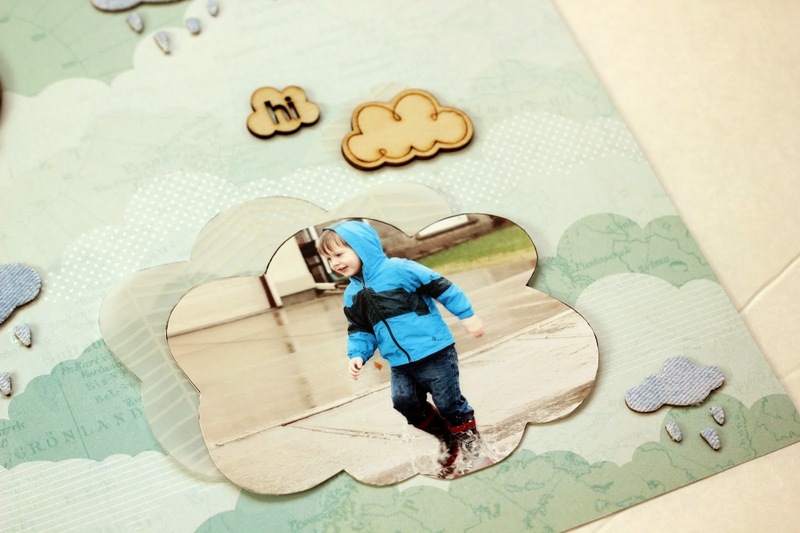 I also used some wood veneer clouds that came in an older Studio Calico kit. 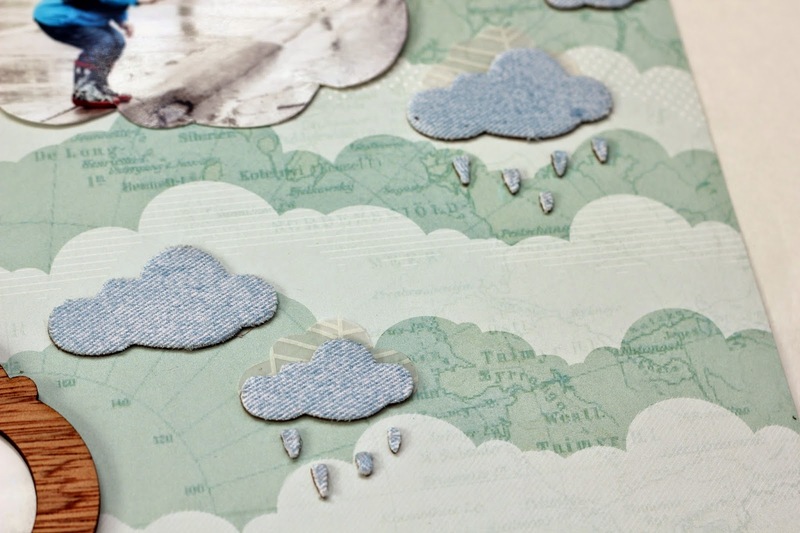 I lightly misted some Studio Calico clouds and rain drops and randomly placed them around the page. 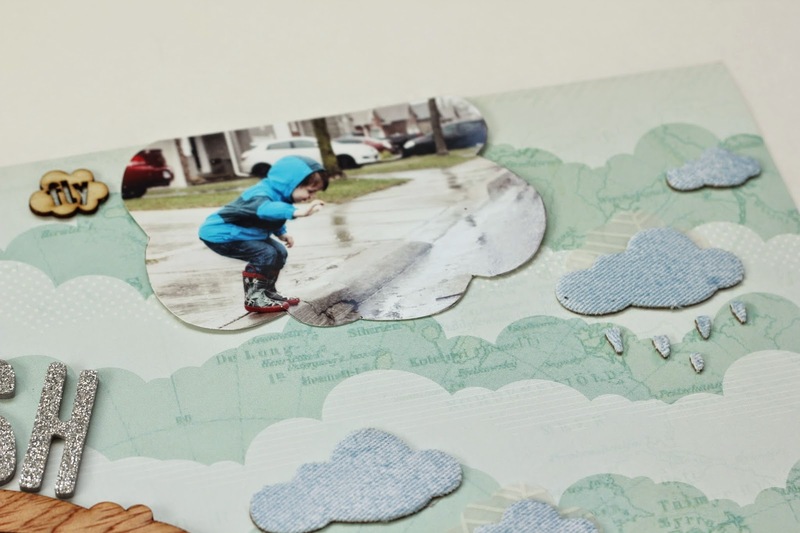 I also punched some clouds out of vellum and placed them behind some of the clouds and one of the pictures for some added dimension. The background paper is Studio Calico too. This was definitely way, way out of my comfort zone using such a big pattern as my background paper, but I really love it. Another Sketchy Saturday is in the books. I definitely get a little too excited for a new sketch to come out and I think it's safe to say now that two of my most favourite layouts ever are based on Paper Issues sketches. 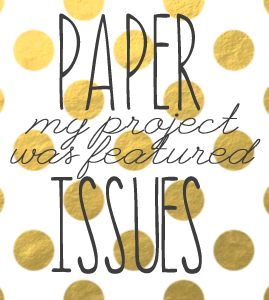 Thank you Paper Issues and Cassie for the inspiration this month! This is such a fun LO! Thank you for linking up to our current issue!